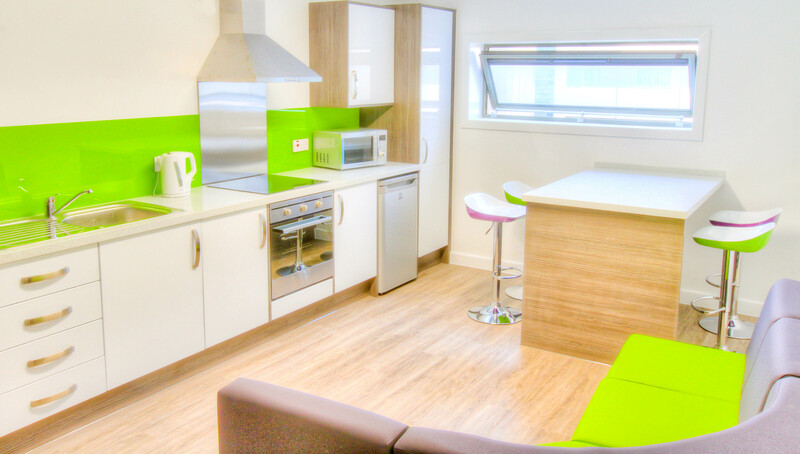 Just in time for the back to school season, a Manchester student accommodation complex has been refurbished to include Maxtop Quartz surfaces in all of its 78 flats. Liberty Living at Sir Charles Groves Hall now has Diamond White Sparkle worktops for all its kitchen and breakfast bars. Auxillium Property Solutions Ltd, which managed the project, chose Maxtop Quartz due to its durability and style. 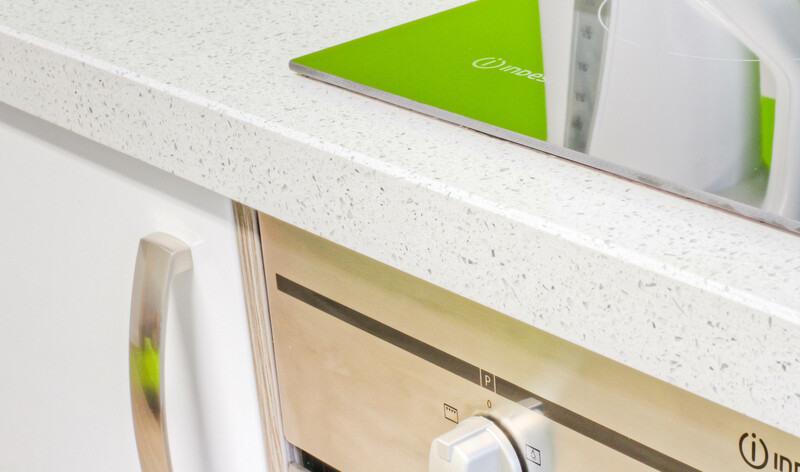 Dale Cross, managing director of Auxillium Property Solutions Ltd, commented: “Maxtop Quartz offered a solution that was easy to install, aesthetically pleasing and above all, more durable than standard laminate worktops – a factor that is extremely important for student accommodation. 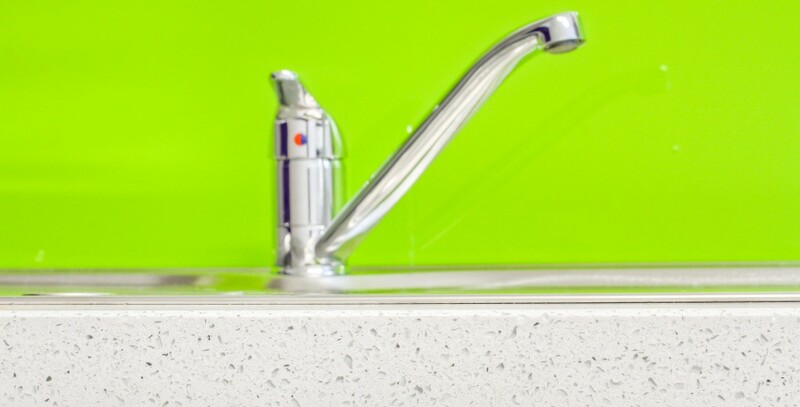 Our modular quartz surfaces have been a real success in residential environments where strength and durability is paramount, which is particularly relevant for student accommodation. We are now working on a number of projects in this sector. To keep up to date with the latest news and tips from Maxtop you can like us on Facebook, follow us on Twitter and keep an eye on our blog.